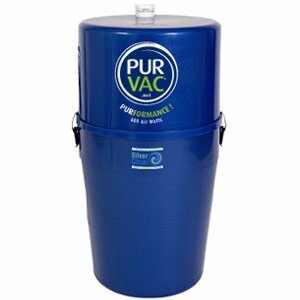 For the XL size homes you will marvel with the dominating performance of the PurVac Killer Whale: This beast of a central vacuum packs a punch with 1,347 air-watts (suction power) making it one of the most powerful 240 volt central vacuum systems in the world to date. If you are looking for the best of the best, you’ve found it in the PurVac Killer Whale. Square Footage (Covers):	From 5,000 – 20,000 sq.ft.